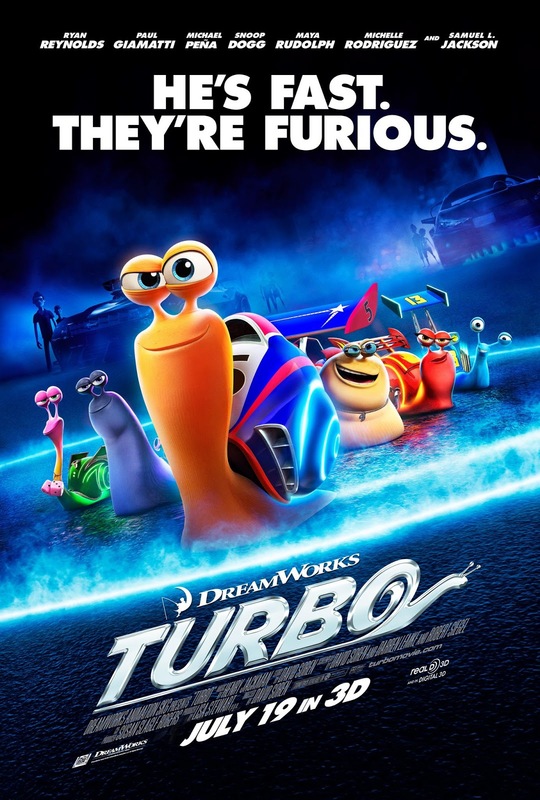 The first time I saw Turbo's teaser, it is interesting enough to catch my attention. Having a snail who can race is pretty cool. But after watching this new full lenth trailer, it reveals something more interesting. Watch it and see it for yourself. So the snail got into an accident that gives his super speed powers. Much like most of the superheroes we know. Though we all know that a Snail could have died after being exposed to Nitrous oxide, I'm still willing to ignore scientific inaccuracies and enjoy this movie. And I just want to say, that poster is one hell of a pun. Thumbs up. Opening in cinemas on July 19, to be distributed by 20th Century Fox through Warner Bros.